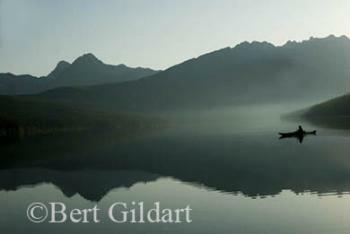 ©Bert Gildart: Falcon Guides, produced by Globe Pequot Publishers, has just released the first in a new series called “Pocket Guides,” in this case a Glacier National Park Pocket Guide. Though the books are small, measuring about 5 ½ by 4 inches, they pack a great deal into the 91 pages-and I am pleased to say that Janie and I are not only the authors but also the photographers, having provided all but three of the book’s forty-plus photographs. Because of their size, the books are not intended to be comprehensive, rather they are intended to provide a snapshot of the park’s history and natural history. To give you an example, we’re providing here a few paragraphs from the book, beginning with an overview. We’re also providing a few paragraphs about bears and about one of our favorite areas in Glacier National Park, specifically, Kintla Lake. In the Pocket Guide we detail all the fun you and your family can have there by launching a kayak. Kintla Lake, located in the most extreme northwestern portion of Glacier National Park, is probably the park’s most remote lake that can still be accessed by a vehicle, and its isolation and tranquility make it an ideal place for kayaking. At one time the park permitted power boats on the lake, but that’s not the case anymore, so the setting’s peace and quiet will never be marred by the sounds of motors. 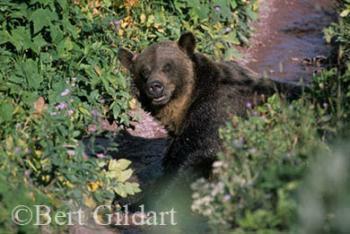 Of course, each of these sections describes more about the park’s history, bears and activities. At $9.95 (plus a $2.00 handling charge), these glossy booklets would make ideal gifts or serve as an excellent introduction to the person who is passing through and wants a quick introduction to the park’s fascinating features. There are also sections on where to stay both inside and outside the park-and much, much more on Glacier’s natural history. Though this new Falcon Guide book can be ordered from Globe Pequot, you can also order it from us. As well, you can order another Falcon book from us–or from them–about the Flathead Valley, which they published last year about this time. 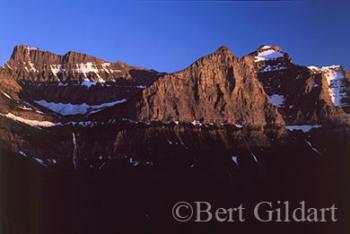 Glacier is a National Park we know well for I once worked here on a trail crew and as a park ranger. In upcoming blogs I’ll be describing a few of its other natural history and historic aspects, specifically the 75th Anniversary of Going-to-the-Sun Road. Last Year about this time, I made two postings: One was about Boating in Alaska , the other about the spectacular profusion of Arrowleaf Balsam Root, which promises to be abundant once again. This entry was posted on Friday, May 9th, 2008 at 10:17 am and is filed under Books & Stories, Glacier National Park, Natural History/Conservation. You can follow any responses to this entry through the RSS 2.0 feed. You can leave a response, or trackback from your own site.